Elmer Nelson Griggs was born on February 3, 1890, in Asheville, N.C., to James P. and Fannie L. Matthews Griggs. By 1900, the Griggs family was living in Asheville, and James Griggs was working as a carpenter. According to the Greensboro Daily News, Elmer N. Griggs enlisted in the U.S. Army on June 18, 1908, after being recruited by an Army recruiting officer named Sinclair of Charlotte, who had traveled to the Asheville U.S. Army Recruiting Station specifically to recruit people from the area. Griggs was one of six Asheville area men who enlisted on June 18. He would be registered into the U.S. Army at the Columbus Barracks in Columbus, Ohio, and was assigned to the 21st Company, U.S. Army Coast Artillery Corps. By March 1911, Elmer Griggs was attending the U.S. Army Coast Artillery Corps’ Coast Artillery School at Fort Monroe in Hampton, Virginia. 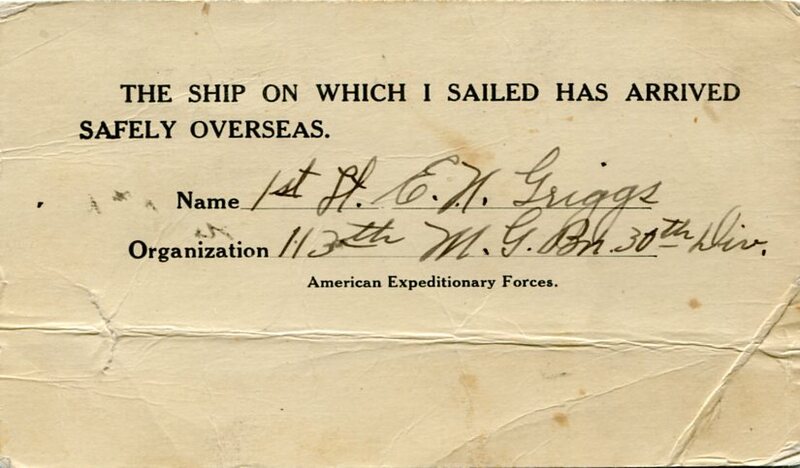 On March 10, 1911, Griggs was transferred from Fort Monroe to Galveston, Texas, for service in Mexico (according to a postcard from Griggs), leaving by ship from Newport News, Virginia. He arrived in Galveston on March 18, 1911, assigned to the 21st Company, 2nd Provincial Regiment, Coast Artillery Corps. According to Griggs, his unit was waiting in Galveston for the 62nd U.S. Congress to make a decision on the destination of the U.S. Army troops in response to the turmoil of the Mexican Revolution, once their session began underway in March 1911. This would be the beginning of America’s involvement in Mexico with what would later become U.S. General John J. Pershing’s expedition against Pancho Villa. Elmer N. Griggs was honorably discharged on June 21, 1911, at Galveston, Texas, with the rank of Sergeant and reported as having Excellent Service. Apparently Elmer Griggs would re-enlist in the Army after working as a salesman for a period in Asheville, N.C. He enlisted at the Columbus Barracks in Columbus, Ohio, on October 28, 1911, and assigned to the 121st Company, U.S. Army Coast Artillery Corps. By November 1913, Elmer Griggs was serving as a Corporal in the 121st Company, U.S. Army Coast Artillery Corps, at Fort Screven, Georgia. 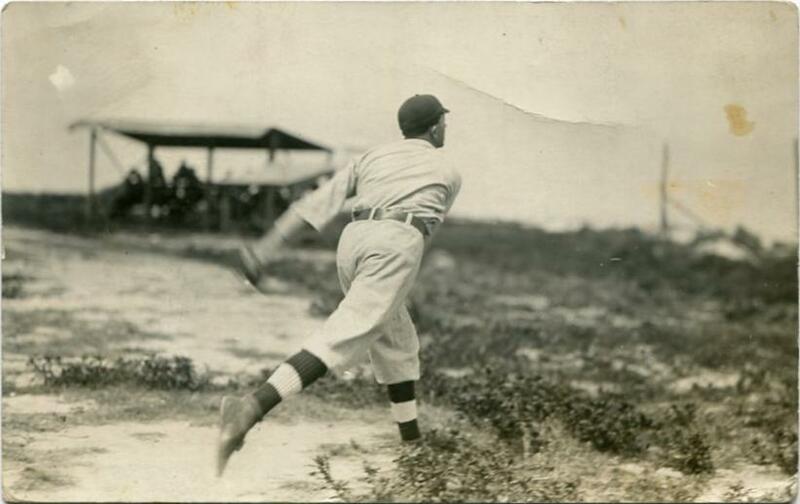 While in Georgia, Griggs played baseball locally, serving as a pitcher. Elmer Griggs was honorably discharged from the Army on October 27, 1914. Elmer’s brother Walter J. Griggs was serving in Nogales, Arizona, on the Mexican border in Company K, 12th Infantry, U.S. Army, as of 1913. By 1916, Elmer Griggs had enlisted in and was serving with Company F, 1st Infantry Regiment, North Carolina National Guard. By November 1916, all three Griggs’ brothers—Elmer, Walter J., and Paul D.—were serving together in the North Carolina National Guard in El Paso, Texas, as part of Pershing’s Punitive Expedition against Pancho Villa. By early 1917, Elmer Griggs was serving as a 1st Sergeant in the North Carolina National Guard. 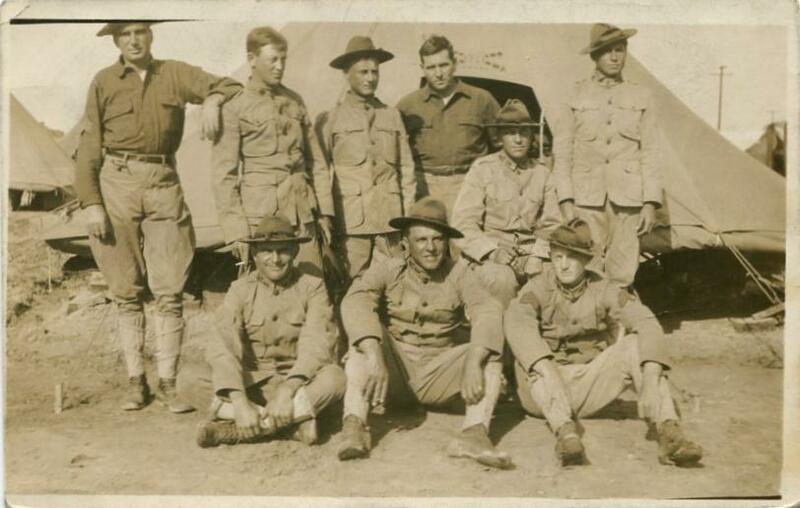 Griggs’ unit was transferred into federal service for World War I in the U.S. Army with the North Carolina National Guard on August 7, 1917, and assigned to Camp Sevier, S.C., for training by the end of July 1917. Prior to his World War I service, Elmer Griggs married Margaret Helen Young on June 18, 1917, in Cincinnati, Ohio. Young had originally lived in the community of Fairview in Buncombe County, N.C.—near Elmer Griggs’s home while the two were growing up—before their marriage in 1917. Griggs was assigned to Company B, 113th Machine Gun Battalion, 30th Division, where he was commissioned as a 1st Lieutenant by July 23, 1917. 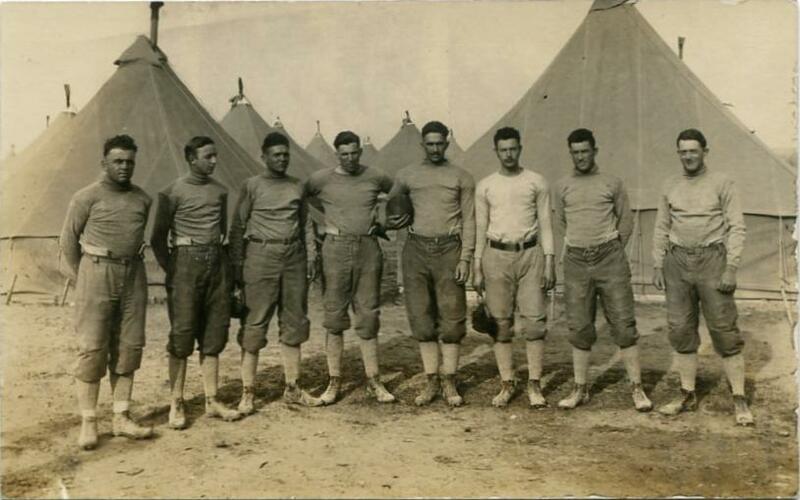 He would later in 1918 be assigned to Camp Lee, Virginia. Griggs served overseas from the time he left the United States by troop transport on May 19, 1918, until he returned in January 1919. On July 22, 1918, Griggs was appointed by the commander of the 113th Machine Gun Battalion as the burial officer for Company B, 113th Machine Gun Battalion. In this role, he was responsible for recording and registering the battlefield or military cemetery burials for all deaths within the entire battalion—as well as assisting in recording the dead for other units who were unable to communicate with their units’ burial officers. He was wounded severely by a gas attack while in action on October 17, 1918, during the Somme Offensive that involved the 30th Division’s breaking of Germany’s Hindenburg Line. After his injury, Griggs was assigned to the Blois Casual Company No. 324 until January 1919. He was transported by ship back to the United States on December 26, 1918, aboard the ship troop transport ship Kansas leaving from Brest, France. Griggs arrived by in the United States on January 8, 1919. 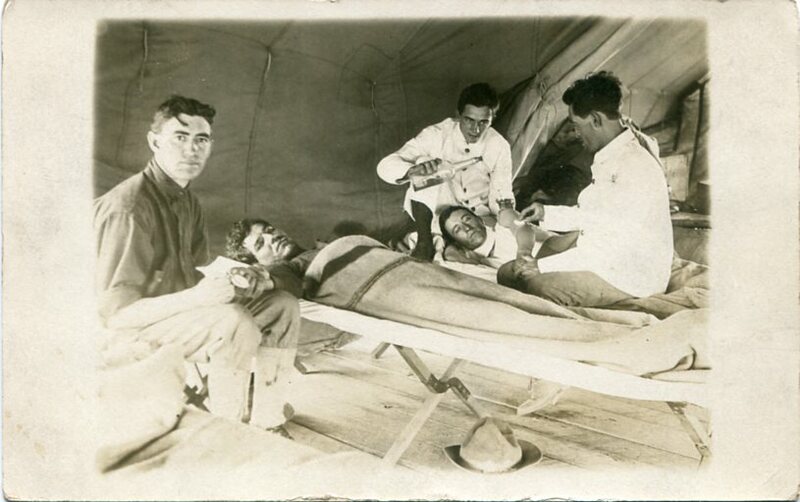 In order to recover from his injuries, Griggs was assigned to the U.S. General Hospital No. 19 in Oteen, N.C.—not too far from his wife and family in Asheville. While he was recuperating from his injuries, he was assigned as part of 8th Company, 155th Depot Brigade, until his discharge. 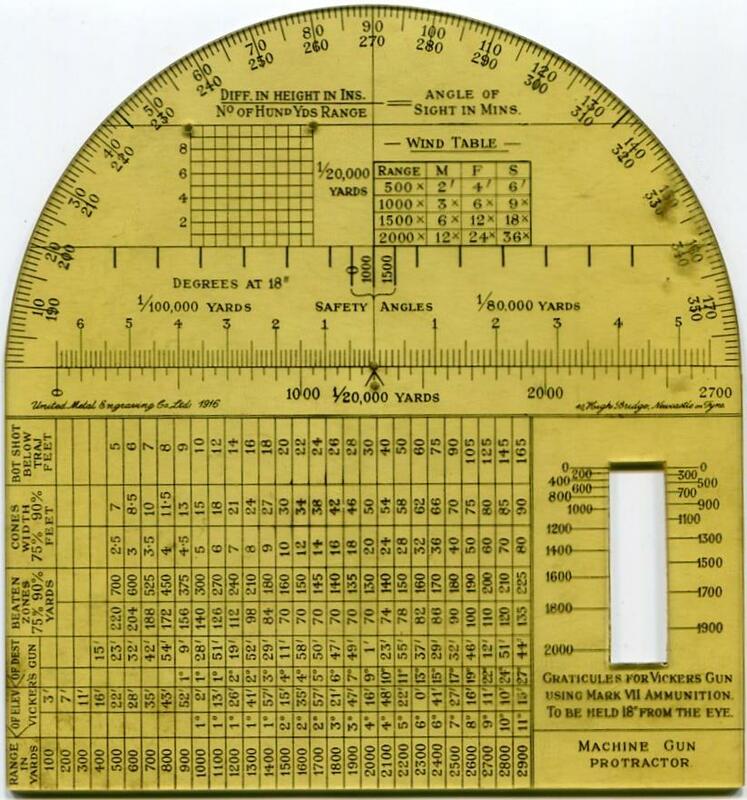 During 1920 while at Oteen, he was reported as working in the hospital store there. His enlistment period was lengthened apparently in order to provide him with medical attention. Elmer Griggs was not discharged from the U.S. Army until January 20, 1920, because of his physical disability, which was at time of discharge reported as 60% disabled (though this percentage may be far greater than reported at the time). After his military service, Elmer Griggs had become a train conductor with the Pullman Company in Asheville by 1921. He worked as a conductor for Pullman for the rest of his professional career, possibly retiring by 1957. For his service, Griggs received a full company pension on which he lived until his death. The rest of Elmer Griggs’ life was not without difficulties. The wife who stuck with him through over two years of recuperation from wartime gas exposure—Margaret Young Griggs—died on July 13, 1937, in Asheville, N.C., at the age of 38. Griggs later remarried to Sallie McDaniel (or Morris) on August 4, 1946, in Asheville. Elmer N. Griggs died on July 9, 1975, in Asheville, N.C., and was buried in Lewis Memorial Park in the same city. To learn more about Elmer Griggs' military service, check out the Elmer N. Griggs Papers (WWI 100) in the WWI Papers of the Military Collection at the State Archives of North Carolina in Raleigh, N.C., and explore the attached collection finding aid for the extent of his materials.